Image source: The Bohol Chronicle. 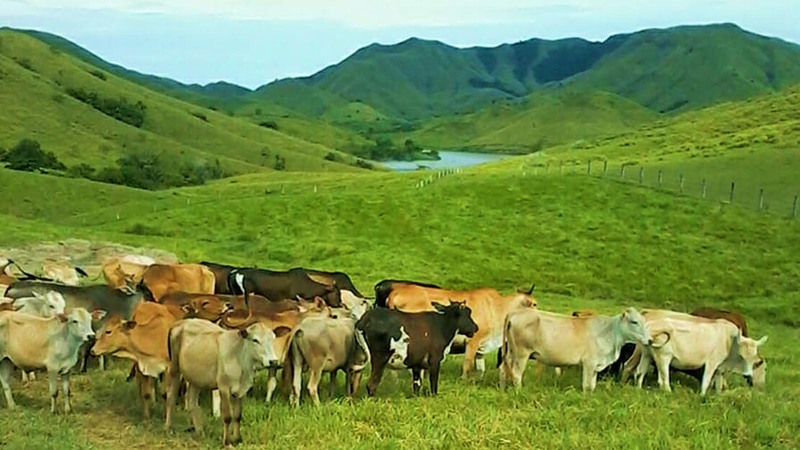 In the present day, it is the town of Padre Garcia which is almost universally known for its livestock industry and its cattle fairs. 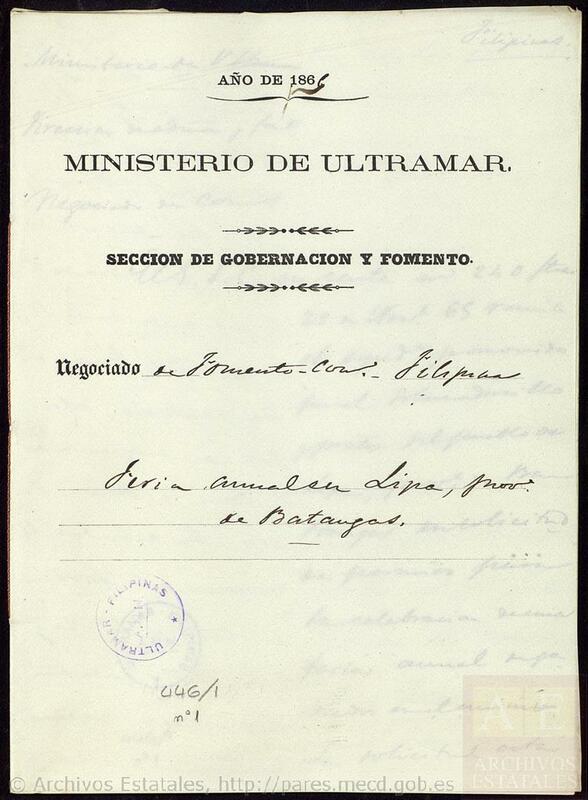 However, back in 1865, the Gobernador and the Principales applied for permission to hold an annual cattle fair; and the application was eventually granted by way of a decree issued by the Spanish colonial government the following year. 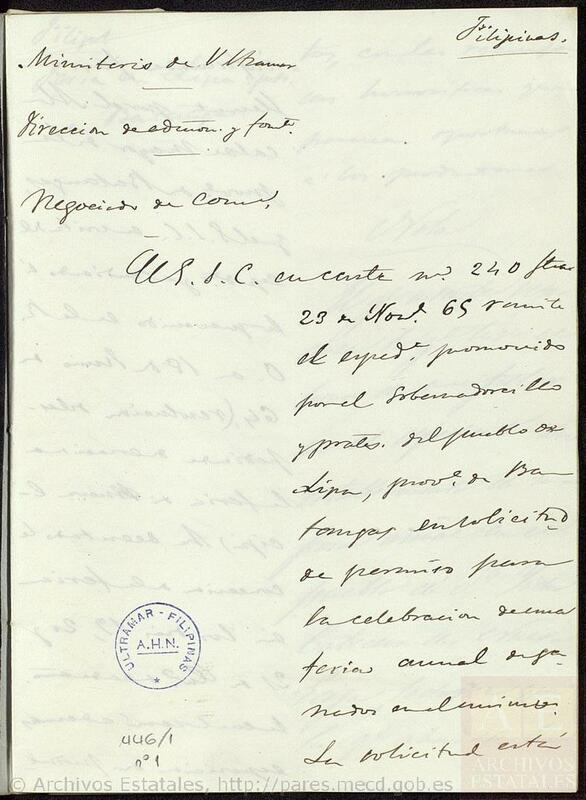 The document containing the decree establishing the cattle fair was a handwritten manuscript in the Spanish language. The first three pages of the manuscript are provided here, and researchers who wish to follow three need to visit the web site Portal de Archivos Españoles1 (Portal of Spanish Archives) of the Ministerio de Educación, Cultura y Deporte to be able to see the remaining 25 other pages. Simply input the title of the document (Establecimiento de una feria anual de ganados en Lipa) as keywords in the search form provided on the page. Readers are advised that the images below are for private use or for teaching and research purposes. They are not to be reproduced for profit or redistribution, public communication and transformation of any means without the express written permission of the owner institution. 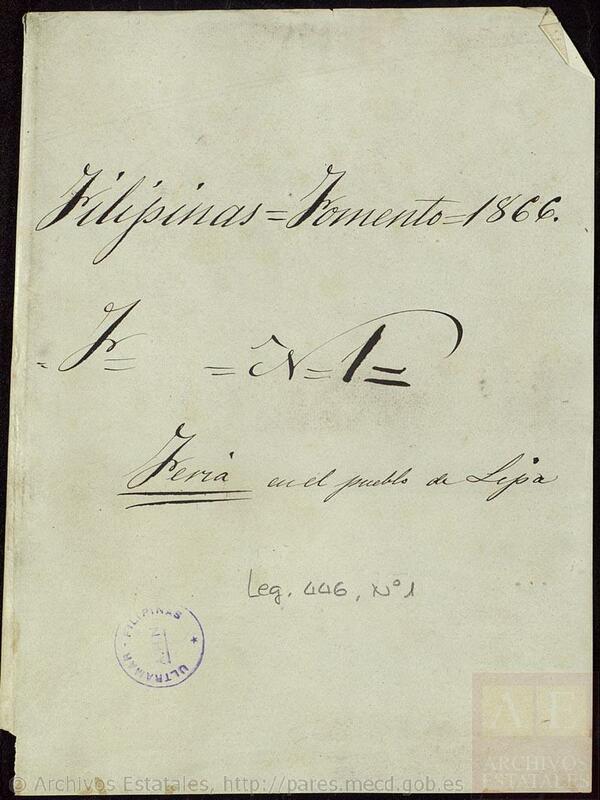 First page, Establishment of an Annual Cattle Fair in Lipa. Second page, Establishment of an Annual Cattle Fair in Lipa. Third page, Establishment of an Annual Cattle Fair in Lipa. 1 “Establecimiento de una feria anual de ganados en Lipa,” online at the Ministerio de Educación, Cultura y Deporte.